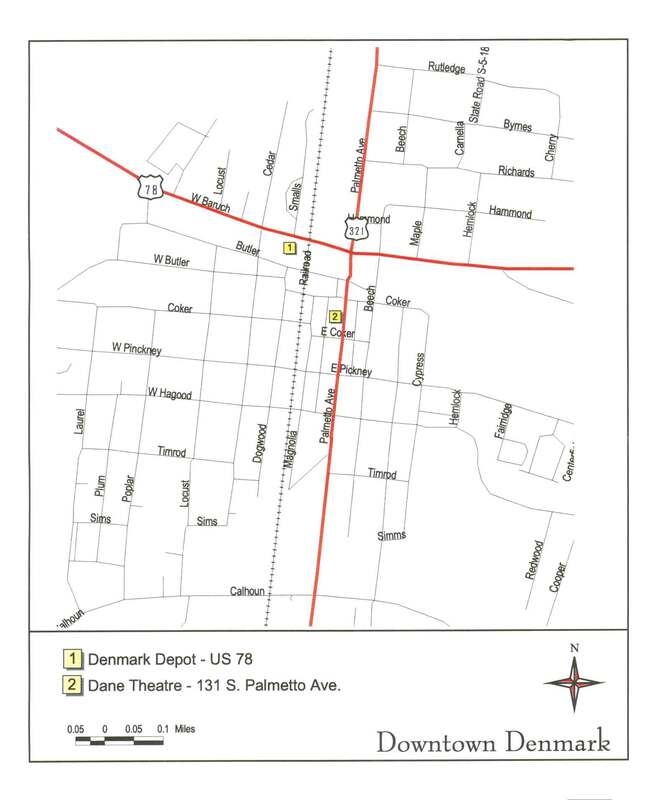 South Carolina Bamberg County Denmark Denmark is located in Bamberg County, west of the city of Bamberg on US 78. The town is home to two institutions of higher learning – Denmark Technical College and Voorhees College, a historically black college, founded in 1897. When approaching Denmark, it is hard to miss the painting of dogwood blossoms that adorns the town's water tower. They were designed by local artist Jim Harrison, nationally known for his realistic coastal scenes and rural landscapes. Bamberg is the largest city near Denmark. Here is a map of the Bamberg area.